Ulcers in goldfish can be caused by a range of different diseases, but they are almost exclusively bacterial in nature. The two most common types of bacterial goldfish ulcers are Aeronores and Pseudomonas. However, as the treatment of bacterial goldfish ulcers are the same regardless of the bacterial strain responsible, in this article we will simply refer to them as “ulcers” rather than drawing the distinction between different strains. 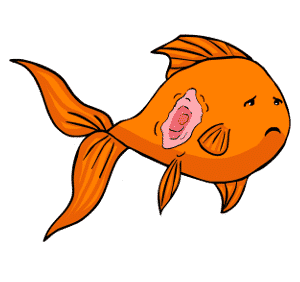 Ulcers are open sores on the surface of the body of the goldfish, which look like red, white or pink wounds. Ulcer sores are caused by the presence of bad bacteria attacking the surface of the scales, leading to inflammation, irritation and infection. Ulcers in goldfish are one of the easiest conditions to identify and will often be present on more than one goldfish kept within the same tank. You might begin to notice odd spots appearing on the body of your fish, which grow larger and appear to be sore, raw or inflamed. They will usually be white or light pink in color, then turn red, and will almost certainly cause discomfort to your fish. What causes ulcers in goldfish? As mentioned, goldfish ulcers are bacterial in nature, and so the presence of bad bacteria within the water causes this condition. The bacteria will generally only thrive and reproduce in large enough numbers to be a threat to your fish if something within the tank is not quite right. For example, if the water quality is poor or your fish are not fed a balanced diet. 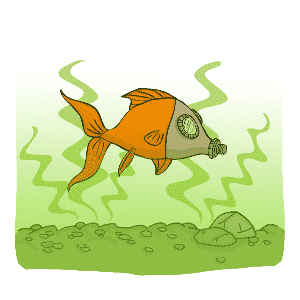 The bacteria can also be introduced into the tank when you add new fish. 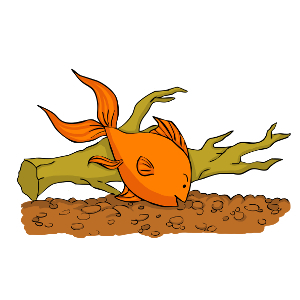 You should therefore quarantine new fish for two weeks to one month before adding them to your tank. This provides time for any problems with your new fish to become apparent. 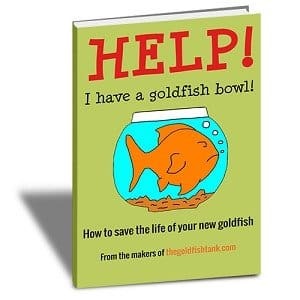 How can ulcers in goldfish be treated? Ulcers can be treated successfully, but they are a little harder to treat than other conditions that simply require the addition of a medication to the water. First of all you should remove any affected fish into an isolation tank, and watch your other fish closely to see if they later begin to show signs of the condition. You will need to physically clean the ulcers on your fish using a solution of iodine or hydrogen peroxide on a Q-tip, and add an antibiotic compound to the water to eradicate the bacteria itself. If this proves ineffective at treating the ulcers, you may also need to feed a medicated antibacterial food. And of course, ensure that good water quality is maintained with regular water changes.